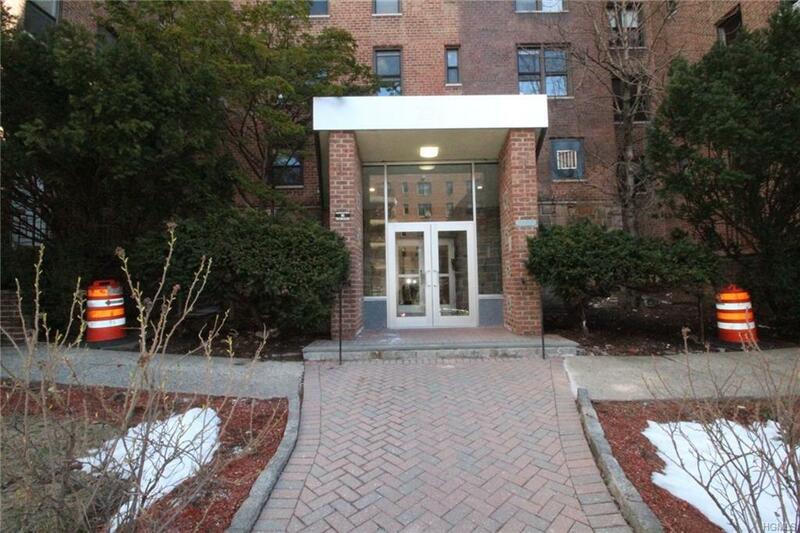 Nice looking unit in a sought after Mid-Rise well maintained building. This apartment has been recently painted and has newer refrigerator and stove and a really large bedroom, good size kitchen, dinning room, and a large living room. Bathroom features a window and it's quaintly finished. A laundry on the first floor of the building features new Washers & Dryers and convenient card system. This building's lobby and security system recently updated and the location is near everything. Downtown Yonkers with it's waterfront restaurants, Brewery and other businesses very close and convenient. STAR Credit not included in Monthly Maintenance. Must see to appreciate. Priced to sell fast. Some furniture available. Listing courtesy of Angelo Ponzi of Pli Realty.